If you want to look young and beautiful moisturizing and protecting your skin are a must! Moisturizers work as a protective sealant against the harsh elements in the environment and the daily wear and tear caused by our lifestyle. In general your skin, especially your face, goes through a lot of abuse throughout the day. Dry skin has a decreased capacity to heal, it is far more susceptible to various forms of skin damage such as sun exposure or harsh detergents. Furthermore, dry skin is also more prone to skin infections and irritants because it has many tiny cracks allowing the offenders to sneak in. Skin dryness tends to increase with age. 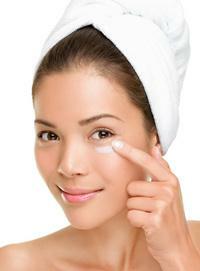 You should select moisturizing products that have as few chemicals and fragrances as possible. Read the labels to find out. Pick a moisturizer that is plant based and is loaded with essential vitamins and antioxidants. Remember, if you spend any time in the sun, be sure the moisturizing treatments you select provide adequate sun protection ingredients to protect your skin from UV damage. Keeping your skin well nourished, protected and moisturized provides the best defense against the signs of aging! Aloe Moist consists of organic and natural ingredients. It contains no perfumes, petroleum, lanolin, parabins or other harmful ingredients so it is safe and effective for even the face and sensitive skin types. It penetrates down to the deepest cellular levels of your skin delivering the benefit of the nourishing, healing and moisturizing ingredients down to the most critical, typically neglected, skin areas. It works from that level up. As it is deep in your skin cells and not on your skin, you can wash your hands and it won’t wash off. Instead it stays in your skin healing, moisturizing and nourishing for many hours. Aloe Moist is for your entire body – face, hands and feet. It is your day, night and eye cream so consolidates your skin treatment needs into one handy, easy to use skin cream and expense into the cost of just one nine oz jar. Moisturize – Aloe Moist moisturizes much better than previous “moisturizers”. It contains some of the most effective moisturizing ingredients on Earth such as Kukuwi Nut, Jojobo, Rose Hip and Grape Seed Oil and a special “enhanced” water that has been naturally and safely modified to penetrate and absorb fully into skin cells resulting in greatly improved hydration. Individual skin cells are also made more permeable and pliable so that Aloe Moists powerful and effective ingredients are actually absorbed into the cells. Repair- The body is continuously at work replacing old, worn out cells with new ones; the process goes on 24 hours a day, 7 days a week, without stop. When all the raw materials needed for cell-building are available, it is a very efficient process and the result is healthy, flexible cells that not only feel better, but look and perform better as well. Aloe Moist contains the raw materials that your skin NEEDS to repair damaged skin and reverse the “hands of time”. Protect and prevent aging- Aloe Moist contains powerful and effective anti-oxidents like Vitamin A (Retinal Palminate), Enhanced Vitamin C, Vitamin E, Green Tea and Co-Q-10. These powerful anti-oxidents neutralize and protect you from harmful UV Rays and the typical signs of exposure to such as lines, wrinkles, pigmentation and even skin cancer. Nourish – Of all the news coming from the beauty community, the loudest buzz may be about the power of vitamins, minerals, and other nutrients in giving skin a more radiant, healthy, and youthful glow. According to the experts interviewed by WebMD, plus new information from the American Academy of Dermatology (AAD), the following vitamins, minerals, antioxidants, and other nutrients nourish your skin. Studies show that the C, E, A, and B vitamins all help improve skin health and appearance. Circulate- Applying a moisturizer with beneficial active ingredients such as Aloe Moist stimulates the skin and improves the circulation of blood to the body which helps in the efficient removal of toxins from the skin and body.